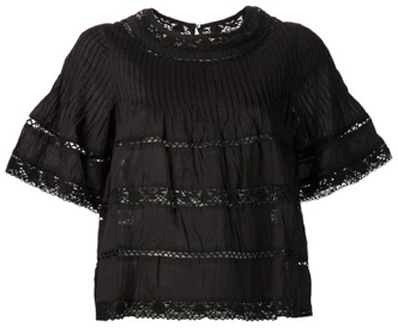 This ever so slightly sheer lace top is made for easy breezy summer days. And it doesn't hurt that it has a compelling Isabel Marant vibe either. I absolutely adore it in white too. I love these ruffle-sleeve tops! And I could live in this outfit all summer! Could you specify where the shorts are from? Oops! Sorry, I forgot to include that link. I updated the post with the credit info. Thanks for the heads-up! I bought the top! Hope it fits!